Evidence from Indonesian police points to the Australian government paying a crew of people smugglers to turn around their boat carrying 60 asylum seekers and carry them back to Indonesia. Although there have been allegations of police corruption and potential collaboration between Indonesian police and the smugglers operating out of there, Australian Prime Minister Tony Abbott has stopped short of denying the allegations, saying his government will continue to do „whatever it takes“ to stop the boats, within the law. But is this lawful? And if it is, is it ethical? Now photos are circulating of the cash allegedly paid to the smugglers. According to Indonesian police investigating the case which saw the asylum seekers and boat crew turned away from Austrlian waters in May, the smugglers requested 31,000 USD which was authorised by an Australian Secret Intelligence Service officer. 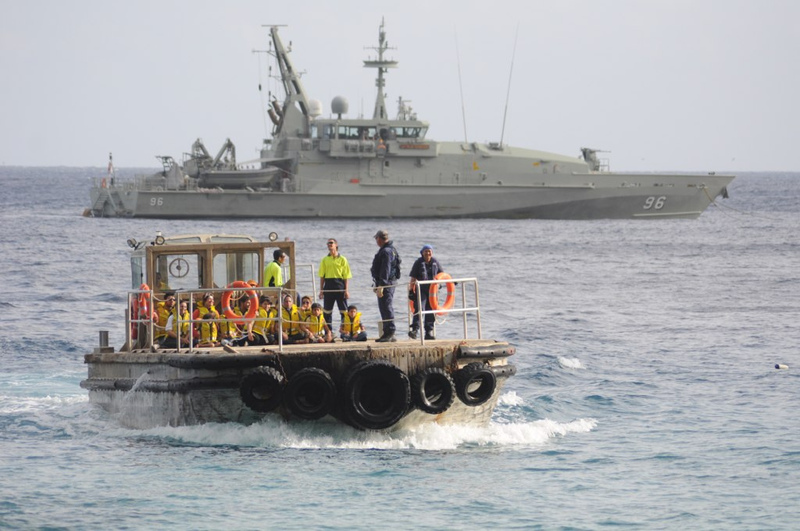 Australia’s Stop the Boats policy deems that no one attempting to claim asylum in Australia by arriving in groups by boat will be resettled on its soil. And it seems that the Australian government is willing to make that the case by hook or by crook. If the allegations are found to by true, this implicates the Australian government in people smuggling, the very thing they say they are fighting against.